Radiance just happens, you cannot plan a radiant glow. It is a fleeting moment when the sun reflects in the right place at the right time. It needs no supernatural powers, it is all done by nature. 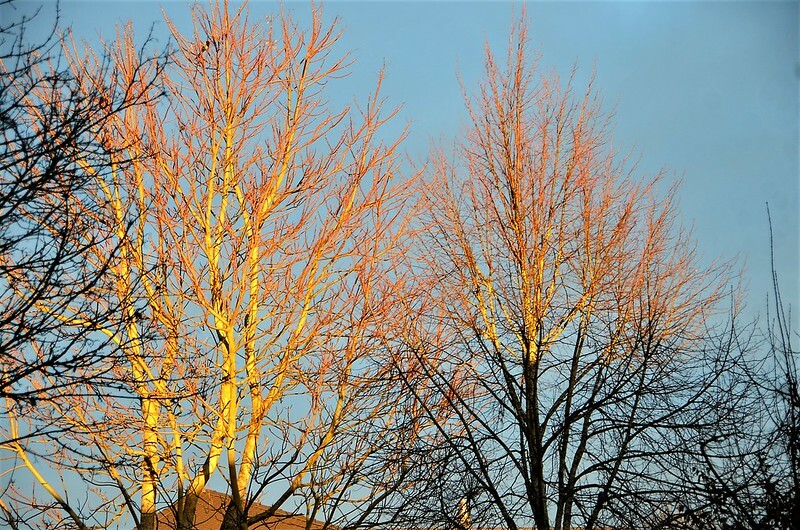 As I sit in my office room in the afternoon writing I am often distracted by the sun shining on the trees. Now I have a choice. do I close the blinds to prevent the light distracting me or do I take my camera and see if there is something worth a photo. Need I find an explanation? I take the photo, because what is now happening is just a moment in time that will not repeat itself very often. Amazing picture! True it happens and you can’t plan radiance! Yes its a fleeting moment and when I’m out waiting it rarely comes. Mostly I see it from my window and ooh and ahh. Tabby–why does Mrs Human have a photo of trees for the word ‘radiant’? Shouldn’t your photo be here?? I am still debating that point with her.